Hello everyone! I hope you are having a great start to the new year and I want to give a heartfelt thank you to all of you who donated so generously over the holiday season! Your thoughtful kindness is truly appreciated. 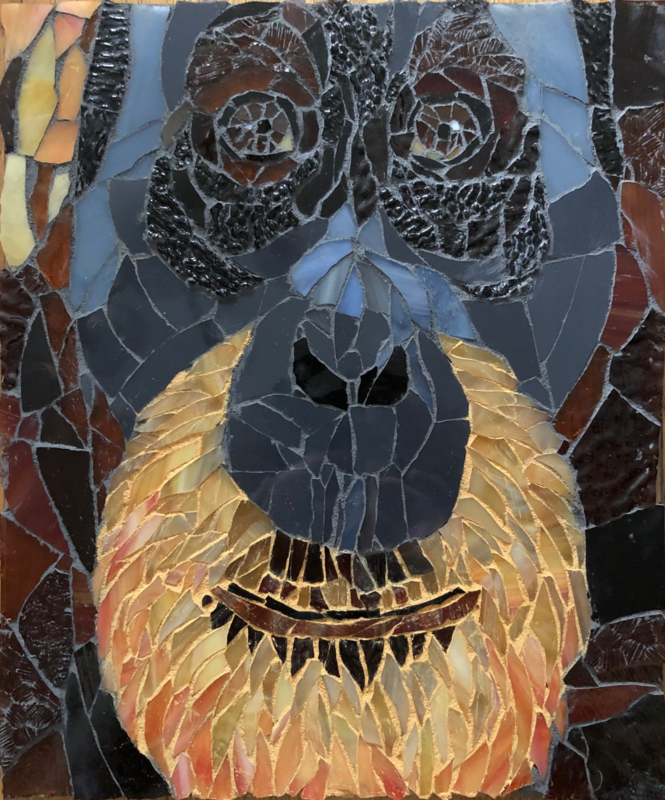 I want to take this time to introduce you to Christy Valsente, a stained glass mosaic artist who created the beautiful orangutan piece below. Even though she has created small architectural pieces, she finds she does her best work representing mammals, birds, and fish. She chose to represent an orangutan because his eyes capture the seriousness of the Orangutan’s plight. She has chosen to dedicate some of her artwork to further awareness of their various struggles in the world. The Orangutan piece is up on her Etsy page, Gladys Finkelstien Creations, at gladysfinkelstien.etsy.com if you would like to purchase this artwork. The size is 10×12” and a frame is included. Proceeds of the sale will come back to us at the Orangutan Conservancy. Happy #GivingTuesday everyone! Please help save the orangutans by donating! 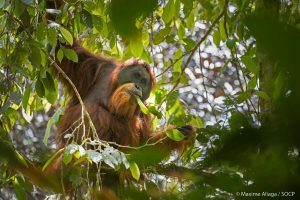 Donations of $20 receive our “Save the Orangutans” bracelet, donations of $50 receive 5 bracelets and donations of $75 or more will receive a reusable shopping bag with our logo. Donate here!